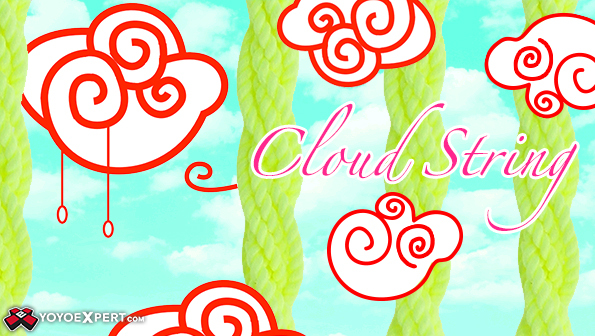 Cloud Strings - The Whippiest Longest Lasting String We've Ever Seen! Cloud Strings are a product born out of necessity, curiosity, and a love for yo-yos! As a competitive yo-yo player Qinton Fox never really found a string that he loved, they all had something he felt could be improved, so he decided to make his own! Over the last 4 years Quinton put his entrepreneurial spirit to work and set out to make his perfect string. He tested out as many different thread types as he could find but never quite found what he was looking for, until now! Cloud Strings! Cloud Strings are made by hand from a unique nylon thread and designed for fast competitive play. They are on the thinner side, but have a really nice weight which makes them perfect for tricks with multiple wraps and crazy fast whips! We try a lot of strings here at YoyoExpert, and these strings stood out right out of the package! From the very first throw you'll notice a fun bounciness that will stay with the string as long as it lasts - Which may be forever as we have yet to fray one even after weeks of play! They have a nice comfortable soft feeling on the hand, even through fast play, and if they get a little dirty from use just wash and they're good as new! A single Cloud String may be more expensive than your average string, but you'll quickly find that one of these will easily outlast a 10 pack of your favorite brand! Version 2.0 is a tad thicker, a tad more loose (for improved tension), and much longer. It has a little less bounce with the same feel and whippiness in play!